The wage increase will take effect in January of 2019 for the majority of workers. 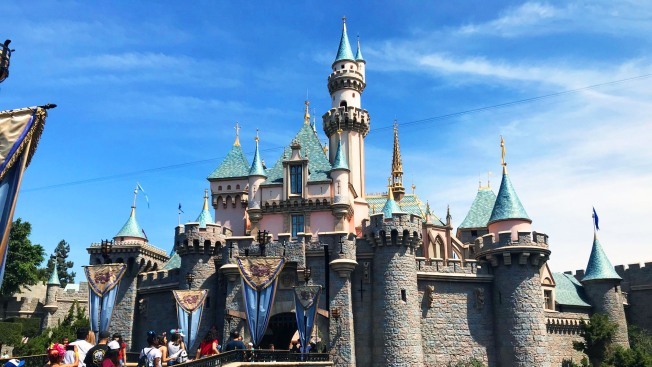 Sleeping Beauty's Castle is pictured here at Disneyland during the summer of 2018. Months of protests finally paid off Sunday for Disneyland Resort hotel workers. Disneyland Resort, which includes Disneyland and Disneyland California Adventure theme parks, three hotels and the Downtown Disney District, announced an agreement that will provide a minimum wage increase of 40 percent over the next two years for 2,700 Disneyland Resort hotel workers from Unite Here! 11. The new minimum wage increase to $15 will take effect in Jan. 2019, as Unite Here! 11 members ratified a new five-year agreement with Disneyland Resort, which the company described as a 40 percent increase over the next two years. Housekeepers' wages will move to $15.80 immediately, according to Disneyland Resort. In July, nearly 10,000 workers from Master Services Council separately agreed to a three-year agreement that established a $15 minimum wage, which was also set to take effect in January of 2018. In addition, Disneyland Resort said that it was undertaking what it described as "major initiatives" to provide employees comprehensive and affordable health care options and free employee skills training and education. The company said it will roll out employee healthcare coverage that offers affordable options for workers, their families and eligible dependents in October. In addition, Disneyland Resort said that it is also paying increased minimum rates to thousands of hourly non-union workers, though it did not detail the amount of the rate increase for that segment of workers. "The strides we have made to implement $15 an hour minimum wages will have an immediate and lasting impact on the quality of life of our cast members and their families," Josh D'Amaro, president of the Disneyland Resort, said in a statement. "Additionally, we are very proud to offer our cast peace of mind through affordable healthcare options and free educational opportunities with our groundbreaking new program called Disney Aspire." "Over the last several months, Disney has found common ground on significant labor contracts, increased wages for union and non-union workers and introduced a comprehensive no-cost education program for hourly cast members that's unlike any we've ever seen," Orange County Business Council President and CEO Lucy Dunn said in the Disneyland Resort statement. "This is not only good for Disney and its cast members, it sets the bar for our entire Orange County community and we applaud their efforts." The company claims that Disneyland Resort has increased employment numbers by nearly 50 percent over the past decade, adding 10,000 new jobs and bringing its staff total to 30,000 people, which the company describes as "cast members."